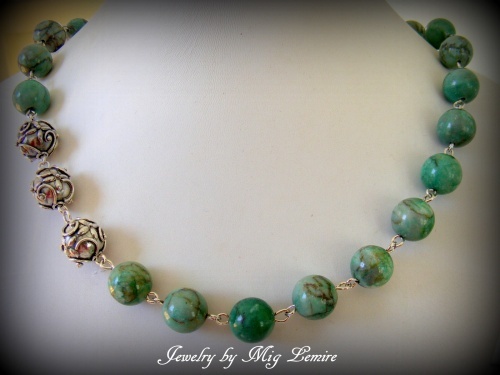 This unique green turquoise gemstone necklace has 3 large Bali beads of sterling silver incorporated in the design. Piece has an elegant sterling silver clasp. Measures 18" long.